Dr. Adams was born and raised just outside of Buffalo, New York. 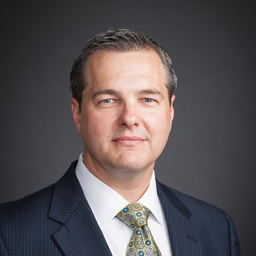 He completed his orthopedic surgery residency at The Mayo Clinic in Rochester, Minnesota, and a shoulder surgery fellowship with Dr. Stephen Burkhart in San Antonio, Texas. Dr. Adams lived in Jupiter, Florida for several years where he had a very active clinical practice treating patients with shoulder problems. While running his clinical practice, Dr. Adams was also very involved in research and teaching shoulder surgery all over the country. In 2014, Dr. Adams joined the Arthrex Medical Education team to pursue his passion for education. Originally from Bogota, Colombia, Dr. Riano completed orthopedic surgery residency at Universidad Militar Nueva Granada in Bogota. He enjoyed a full military career and retired as major from the Colombian Air Force Medical Corps. Dr. Riano attended hand, upper extremity and microsurgery fellowships with Dean Soteranos, MD, at the University of Pittsburgh, Mark Baratz, MD, at Allegheny General Hospital of Pittsburgh, and Anne E. Ouelette, MD, at Jackson Memorial Hospital in Miami. To pursue his passion for education, Dr. Riano joined Arthrex in 2007. He worked diligently to build what is recognized as the gold standard for industry-leading medical education programs for foot and ankle surgery, and now he has been tasked to accomplish the same for hand and wrist surgery. Originally from Islandia, New York, Mr. Thompson’s inspiration to work in the field of musculoskeletal medicine came from his exposure as a D1 college ice hockey player. 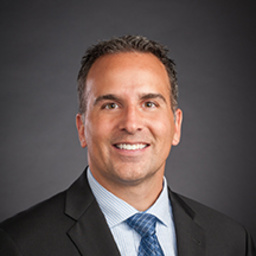 He began his career in orthopedics in 1999 as a certified athletic trainer after receiving a Bachelor of Science degree in sports medicine and athletic training from Merrimack College (Minnesota). He went on to complete his first master's degree in exercise science at The University of North Carolina in Greensboro. Mr. Thompson then attended A.T. Still University (Arizona) where he was awarded his master's degree in physician assistant studies. 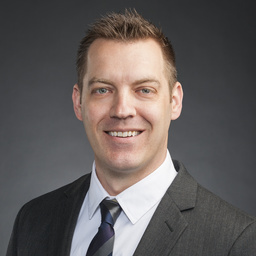 A well-rounded physician assistant in orthopedic surgery, Mr. Thompson has worked extensively in private practice, hospital-based practice and at a major university teaching hospital. Prior to joining Arthrex in 2011, Mr. Thompson worked at the prestigious Brigham and Women’s Hospital in Boston supporting the Chief of Sports Medicine and Shoulder Surgery. Mr. Thompson has a unique passion for arthroscopic shoulder surgery and shoulder arthroplasty. Originally from Hollywood, Florida, Mr. Stoll earned his physician assistant degree from Nova Southeastern University (Florida). Mr. Stoll began his career in orthopedic surgery in 1999 with a busy orthopedic group in Fort Myers, Florida. He has extensive experience in sports medicine, adult reconstruction, orthopedic trauma and extremity surgery. Mr. Stoll was also active in providing team medical coverage for the Minnesota Twins, Florida Everblades hockey and local high school teams. In 2010, Mr. Stoll joined Arthrex Medical Education in support of the Sports/Arthroplasty team and in 2017 has transitioned to manage the Foot and Ankle division. Mr. Bradshaw is originally from Lakeland, Florida. He spent much of his career serving in the U.S. Navy. Starting out as an enlisted hospital corpsman, Mr. Bradshaw was selected for physician assistant training leading to his commissioning as an officer in the Navy Medical Service Corps. He earned his Bachelor of Science degree in physician assistant studies from The George Washington University in Washington, D.C., and went on to earn a master’s degree in physician assistant studies from the University of Nebraska. He was selected to attend an orthopedic surgery fellowship program for PAs. Mr. Bradshaw worked in a general military orthopedic surgery setting doing sports medicine and trauma. In 2008, Mr. Bradshaw retired from the Navy as a Lieutenant Commander with 22 years of service. He moved to Naples in 2010 to join the Arthrex Medical Education team, focusing on distal extremity surgery and orthobiologics. In 2015, Mr. Bradshaw assumed the role of Manager of Technology Consultant Education. Mr. Rego has practiced clinically as a physician assistant for more than 10 years in Naples, Florida. Originally from Hialeah, Florida, he completed his medical training at the University of Florida College of Medicine, graduating with a master's degree in physician assistant studies. 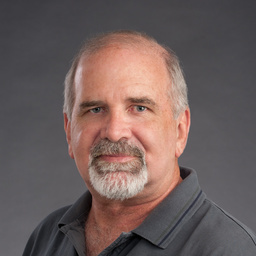 Prior to entering PA school, Mr. Rego received a bachelor's degree in biology and a master's degree in public health from the University of South Florida. As a PA, he has worked in the fields of gastroenterology and pulmonary medicine, but spent most of his career in orthopedic surgery. 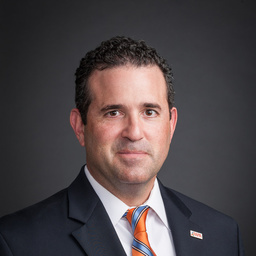 Pursuing professional leadership positions at the highest levels, Mr. Rego served as the vice president of the Florida Academy of Physician Assistants (FAPA) from 2002 to 2004. He served as president of FAPA for the 2015-2016 term. Mr. Rego has a special interest in hip, knee and shoulder arthroscopic surgery. Mr. Rego currently serves on the University of Florida’s School of Physician Assistant Studies Alumni Advisory Council. Mr. Grimaldi is originally from Norridge, Illinois, near Chicago. He completed a Master of Science in Education degree from Northern Illinois University in DeKalb, Illinois. He went on to pursue a Master of Medical Science degree from Nova Southeastern University in Ft. Lauderdale, Florida, and simultaneously an associate degree in physician assistant studies, from Miami-Dade College. Mr. Grimaldi spent many years working as a certified athletic trainer with the University of Maryland and the University of Miami. Some of his credits as an ATC include working with two NCAA national football championship teams with the University of Miami, and working with athletes at the 1996 Atlanta Olympics and Team USA, including a first place finish at the 1990 World Lacrosse Championships in Australia. Following his certification as a physician assistant in 2005, Mr. Grimaldi dedicated his career to working in the practice of orthopedic surgery. Before joining the Arthrex Medical Education team in 2014, Mr. Grimaldi focused his practice on sports, adult reconstruction and arthroplasty. Mr. Kaszyca is originally from Port Huron, Michigan. He pursued his undergraduate degree from Michigan State University and he went on to earn his master’s degree in physician assistant studies from Grand Valley State University in Grand Rapids, Michigan. Before joining Arthrex in 2014, Mr. Kaszyca spent his entire 10 years of clinical practice in orthopedic surgery, where he specialized in knee, shoulder and hip sports medicine as well as knee, hip and shoulder arthroplasty. During this time, he was very active in state and national physician assistant professional organizations, and was elected to serve as the president of the Michigan Academy of Physician Assistants from 2013-2014. From November 2016 to September 2017, Mr. Kaszyca served as the Medical Education manager for Arthrex APAC based in Singapore. During that time he helped to build and implement the medical education program for the ArthroLab Singapore, which supports the subsidiaries based in Japan, Korea and China, and distributors throughout the ASEAN region. Originally from Port Huron, Michigan, Dr. Chargot now makes her home in Naples, Florida, after joining the Arthrex Medical Education team in 2014. Dr. Chargot began her medical career as a licensed EMT in Michigan. She earned her Bachelor of Science degree in human biology from Michigan State University and completed medical school at St. Matthew’s University School of Medicine in Grand Cayman. Dr. Chargot initially became interested in musculoskeletal medicine after being exposed to the field while competing on the national level as a gymnast. Her current focus is in surgery of the foot and ankle, hand and wrist, trauma, orthobiologics and ultrasound. With a true passion for teaching, Dr. Chargot is a certified basic life support instructor and enjoys volunteering in the community. Mr. Westbrook is originally from Fairfax, Virginia, where he practiced clinically for eight years. He joined Arthrex Medical Education in 2015. 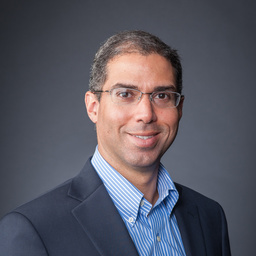 He received a Master of Science degree as a physician assistant from The George Washington University in Washington, D.C. His love for education developed while working with orthopedic and podiatric residents, as well as PA/medical students. He also had the privilege of serving as adjunct faculty for the PA program at George Washington University. Mr. Westbrook spent his clinical years in an orthopedic trauma practice at a large regional trauma center. In addition to his passion for orthopedic trauma, Mr. Westbrook provides surgeon education for subspecialists in both foot and ankle and hand and wrist. Mrs. Salandy completed her education in the UK and relocated from England, where she was born and raised, to the U.S. in 2015. After completing her bachelor's degree in anatomy and human biology at the University of Liverpool, she went on to work in the physiotherapy department for a specialist inpatient rehabilitation unit at Isebrook Hospital, Wellingborough, UK. With a passion for health care and medicine, she continued her studies at the University of Birmingham, graduating with a master’s degree in physician associate studies. Excited to work in orthopedics, Mrs. Salandy was the first UK-trained PA to work at the Royal National Orthopaedic Hospital (RNOH) in Stanmore, UK, where she joined the Foot and Ankle team and gained invaluable experience in foot and ankle conditions from her supervising surgeons. Mrs. Salandy joined Arthrex in 2016 to work on the Distal Extremities Medical Education team. Mr. Shamus has practiced as an orthopedic physician assistant in Southwest Florida since 2005. A Miami, Florida native, he completed his undergraduate study in physiology/kinesiology at the University of Florida. He continued his studies at the University of Florida and graduated with a master’s degree from the university’s College of Medicine. Ryan has a focused interest in total joint arthroplasty as that was the majority of his practice. He has assisted in more than 10,000 joint replacement surgeries. 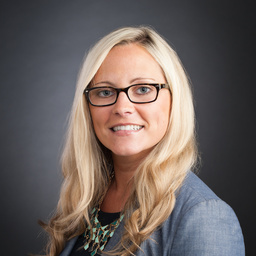 Originally from Indiana, Pennsylvania, Ms. Heidenthal earned both her Bachelor of Science and Master of Physician Assistant Sciences degrees at Saint Francis University (Pennsylvania) in 2005 and 2006, respectively. 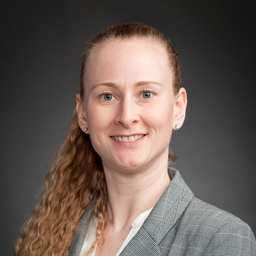 Prior to joining the Arthrex Medical Education Sports and Arthroplasty team in 2016, she practiced orthopedic surgery and traumatology in Pittsburgh, Pennsylvania for 11 years. In her broad scope of practice, she spent several years working at a Level 1 trauma center with the orthopedic trauma service and five-plus years practicing with a sports medicine fellowship-trained orthopedic surgeon specializing in shoulder and knee arthroscopy, as well as musculoskeletal ultrasound. Mrs. Katz is originally from Long Island, New York. Her passion for sports medicine began while earning her Bachelor of Science degree in athletic training. 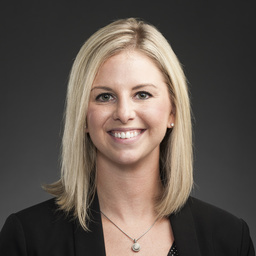 After working as a certified athletic trainer for two years with an NCAA Division I Sports Program on Long Island, she pursued a degree in physician assistant studies from Hofstra University. As a board-certified physician assistant, Mrs. Katz practiced orthopedic surgery for seven years under a sports medicine fellowship-trained orthopedic surgeon, specializing in shoulder, knee and hip arthroscopy, as well as musculoskeletal ultrasound. She joined the Medical Education Sports and Arthroplasty team in 2017. Mr. Fisher is originally from Canberra, Australia. He relocated to the United States to play collegiate baseball in St. Louis, Missouri, where he earned a Bachelor of Science degree in athletic training and a Master of Arts degree in sports management from Lindenwood University. He worked as an athletic trainer for several years prior to attending the University of Utah School of Medicine, where he graduated with a master’s degree in physician assistant studies. 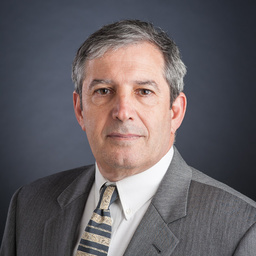 Prior to moving to Naples to join the Arthrex Medical Education department, he worked in a spine, general orthopedic and pain management clinic in California and then in orthopedic trauma at the Andrews Institute in Pensacola, Florida. 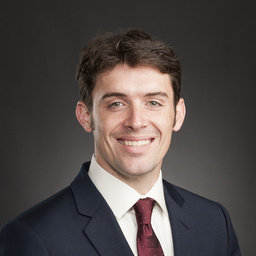 Mr. Fisher has published several articles and is a current reviewer for JBJS Journal of Orthopaedics for Physician Assistants. Dr. Sevillano is originally from Caracas, Venezuela. He worked as a consultant for Arthrex for five years, participating in corporate courses for Latin America. After working in our Mexico City subsidiary for more than a year, he now makes his home in Naples, Florida. Dr. Sevillano attended residency in orthopedic surgery at Miguel Perez Carreño Hospital, Central University of Venezuela and Perez de Leon Hospital in Caracas, Venezuela. In 2004, he went on to complete a fellowship in sports medicine and adult reconstruction at Advanced Orthopedic Centers in Richmond, Virginia, with Dr. Richard Worland. Dr. Sevillano spent 10 years in private practice, focusing on sports medicine, orthopedic trauma and arthroplasty at Policlínica Metropolitana in Caracas. His professional activity outside the operating room includes serving as president of the Medical Society of Policlínica Metropolitana in 2013-2014, and scientific coordinator of the Shoulder Committee for the Venezuelan Society of Orthopedic Surgeons from 2013-2014. Dr. Sevillano joined Arthrex in 2014 to provide medical education throughout Central and South America. Dr. Quintana is originally from Cartagena, Colombia, and now resides in Naples, Florida. He completed his orthopedic surgery residency at Dr. Juan A. Fernandez Hospital in Buenos Aires, Argentina. He went on to complete a fellowship in pediatric orthopaedics and traumatology at Dr. Ricardo Gutierrez Children Hospital in Buenos Aires. He spent the early part of his career in private practice in Argentina. In 2004, Dr. Quintana joined the Arthrex Medical Education team to manage surgeon education in Latin America. 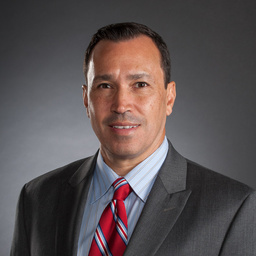 Dr. Quintana has a special interest in sports surgery and arthroplasty. Dr. Huertas is originally from Cali, Colombia. He now makes his home in Naples, Florida. Dr. Huertas completed medical school at University Cooperativa de Colombia. He spent his early career as a medical doctor at San Pedro Claver Hospital in Bogota, Colombia. 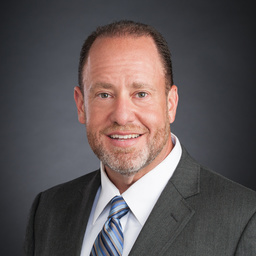 His orthopedic experience began in 2005, when he made the move to become a clinical specialist and regional sales manager for an orthopedic medical device company in Jacksonville, Florida. He then spent several years focused on orthopedic surgical soft-tissue repair and orthobiologics for domestic and international markets. In 2012, Dr. Huertas joined Arthrex as a clinical specialist, supplying educational resources to orthopedic surgeons and the Arthrex business partners in the Southern Hemisphere, from Latin America to the Pacific Rim and beyond. 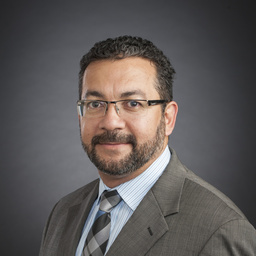 Born in Mexico City, Dr. Fregoso was a practicing physician until 2005, working for four years as a first assistant in general and laparoscopic surgery and participating in more than 500 surgical procedures. She also worked as a general practitioner, seeing mostly pediatric patients. In 2011, she joined a preventive medical company, developing and coordinating health check-up campaigns and coordinating the medical service for patients in more than 80 first-level clinics in Mexico City and many states in the country. She was the primary consultant of a software development team creating an electronic medical record that today has thousands of users, and was in charge of a disease management program in which health coaches advise patients with cardiometabolic diseases. She brought all of this experience to Arthrex Mexico where she is the Associate Medical Education Manager. Mr. Espinoza has practiced as a surgical technician for more than five years. Originally from Nueva Rosita, Coahuila, he received training at Hospital Español in 2000. As technician, Mr. Espinoza worked more than 1,500 knee and shoulder arthroscopy surgeries before moving to a sales position. 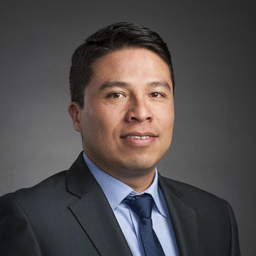 Mr. Espinoza began working for Arthrex Mexico in 2003 as part of the sales team, which he did through 2009 while also helping with medical education activities. Mr. Espinoza has participated in surgery skills courses, lectured nurses on surgical techniques and taught arthroscopy skills. Mr. Espinoza moved to Querétaro to work in Alianza Médica SA de CV for a year, working with orthopedic products for the medical community of this region. Upon returning to Arthrex Mexico, Mr. Espinoza continued to work helping product specialists and sales supervisors. In 2014, he left his duties in sales to take the role of clinical specialist for Arthrex Mexico’s Medical Education team. 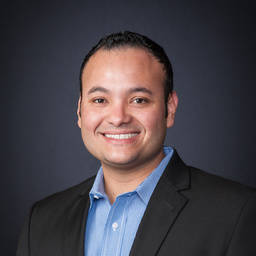 Mr. Espinoza has special interest in shoulder and knee arthroscopy surgery. Mr. López has worked as a technician for more than five years and a sales representative for four years. 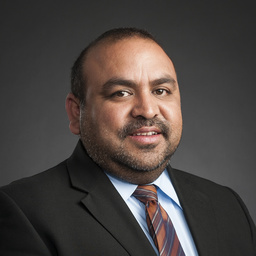 Originally from the State of Mexico, Mr. López has worked more than 1,300 surgeries in the field of knee, shoulder, and foot and ankle arthroscopy. Prior to arrival at Arthrex Mexico, he participated in counseling activities for doctors, specializing in shoulder and knee arthroscopy. Mr. López joined Arthrex Mexico in 2011, where he became part of the sales department as a sales representative until 2015. He left his role in sales to become part of the Medical Education team as a junior clinical specialist. Mr. López is interested in sports medicine surgeries. J.P. is originally from Belo Horizonte, Brazil. He moved to the U.S. in 1998 to join his family in Naples Florida. J.P. joined Arthrex in 2006 as a lab services coordinator and had the opportunity to learn and work with visiting surgeons from around the world. In 2010, Arthrex decided to open an office in Brazil and J.P. was given the opportunity to move back to Brazil as a product specialist. With a business and marketing background he helped develop the product marketing and medical education programs at Arthrex do Brazil. In 2016, J.P. was promoted to Medical Education Manager for Brazil. 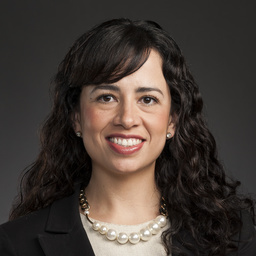 Born in Brazil, Ms. Galhardo graduated with a degree in physical therapy in 2007. 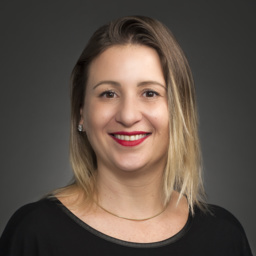 She joined a medical rehabilitation company as a product specialist in 2011 in São Paulo, developing and coordinating the rehab specialty. In 2014 she became a trauma product specialist at a Swiss company where she focused on medical education. 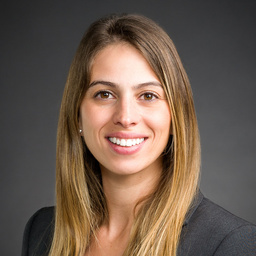 In 2017 Ms. Galhardo joined the Arthrex Medical Education team as a Sports Medicine Clinical Specialist bringing all of her experience in medical education to the group. Mr. Snoek is originally from Krimpen aan den IJssel, Netherlands. He began his career as a teacher after earning his bachelor’s degree in physical education from The Hague University, Netherlands. His career in orthopedics began as a sales representative in 1991. In 1997, he joined Arthrex as the sales manager over Eastern Hemisphere sales, including Europe, Middle East, Africa, Asia, Australia and New Zealand. In 2000, Mr. Snoek left his position in sales and founded what now is the Arthrex Medical Education Department covering the Eastern Hemisphere. 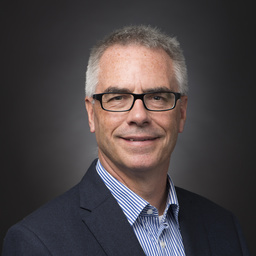 His work initially involved partnering with universities in Salzburg, Austria, London, England and Erasmus, Netherlands to provide medical education opportunities to orthopedic surgeons. Today Mr. Snoek directs the state-of-the-art Arthrex ArthroLab in Munich, Germany. Under his direction, this 38-station ArthroLab hosts 8,500 orthopedic surgeons annually for surgical skills training. 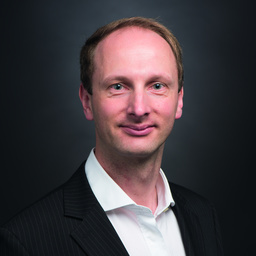 Dr. Kowarsch is originally from Heidelberg, Germany, and now resides in Munich. 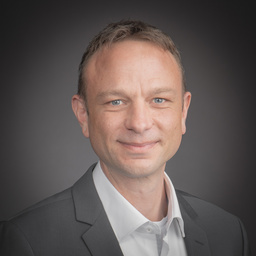 He attended medical school at Ruprecht-Karls-University in Heidelberg and went on to complete his dissertation and graduate from Heidelberg University with a doctorate degree in orthopedics. Early in his surgical career Dr. Kowarsch served as an orthopedic and traumatology surgeon in the Kantonsspital of St. Gallen, Switzerland, The University of Innsbruck, Austria, and The University of Mannheim, Germany. 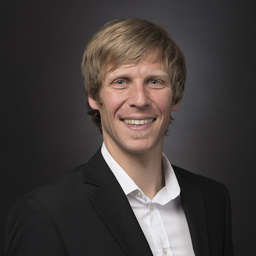 After becoming an orthopaedic surgeon, his interest in sports surgery grew as a result of his service to the German Ski Association as an alpine ski instructor and his passion for sports. Dr. Kowarsch joined Arthrex in 2006 as a senior product manager for knee and hip arthroscopy in Munich. To pursue his passion for education, he transitioned to the Medical Education team in 2010. Dr. Kowarsch is active in managing sports surgery surgical skills courses throughout the EMEA region. Ms. Ziemann is originally from Danzig, Poland. She now makes her home near Munich, Germany. She completed nursing school and completed her theatre practitioner training at the University Clinic in Lübeck, Germany. She also attended Oxford Brookes University in the United Kingdom studying management in health and social care. Ms. Ziemann began her career working as an RN in a surgical setting in 2002. She has experience as a senior theater practitioner RN in six different multidisciplinary hospitals in Germany, United Kingdom, Australia and Austria, focusing on orthopedic surgery and trauma. Prior to joining Arthrex in 2013, she was the RN manager of an operative theater in Austria. 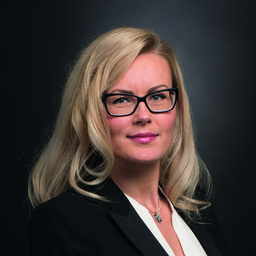 Ms. Ziemann is a clinical speciality for Distal Extremities, instructing surgeons on techniques and managing DEX international courses run by Arthrex. Mr. Röhsler is originally from a small city near Dresden, Germany, and now makes his home near Munich. 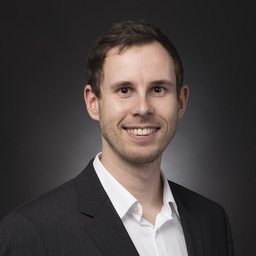 He began his career in musculoskeletal medicine in 2006, after studying and becoming certified in physiotherapy by the German State. Mr. Röhsler has worked in a wide range of professional settings, including supporting athletes and sports teams. He also has worked at University Hospital in Munich supporting orthopedic surgery groups before joining Arthrex in 2014. Since 2017, he is responsible for the veterinary field as well. Mr. Röhsler travels throughout the EMEA to support medical education courses. Mr. Kreiselmeier was born in Schweinfurt close to the famous Franconian wine region in the northern part of Bavaria. He studied sports science with a focus on prevention and rehabilitation at the Technical University in Munich. As a trainer for visually impaired athletes he was part of the Nordic Paraski Team Germany and guided his athletes in Nordic skiing and in athletics. During his career, Mr. Kreiselmeier worked at a famous Munich sports store as a specialist in running and skiing. Prior to joining Arthrex in 2010 he worked as a sales representative for sports medicine and as an ArthroLab coordinator. 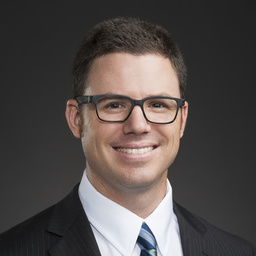 In 2015 he joined the Medical Education Team as Clinical Specialist for Sports Medicine and Arthroplasty instructing surgeons in surgical techniques and managing national and international courses run by Arthrex. Since 2017 he has also provided support in the veterinary field. After studying medicine in Regensburg, Germany, Dr. Maximilian Madl furthered his education in orthopedics at the University Hospital in Regensburg, Inselspital Bern (Switzerland) and University of Bologna (Italy). Before coming to Arthrex in 2016, he worked in his own medical office in Munich, focusing on sports medicine, acupuncture and chiropractic. He also studied radiology and emergency medicine. 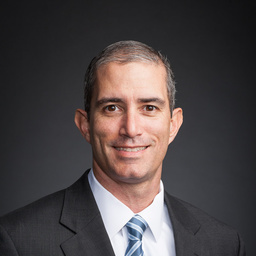 Dr. Madl supports surgeons in the ArthroLab in sports medicine and arthroplasty techniques, with a special focus on orthobiologics. Ms. Sonja Obeser is originally from a village near Augsburg, Germany, and lives now in Augsburg. She completed her apprenticeship as a doctor’s assistant and continued her education in radiation protection. Prior to her job at Arthrex, Ms. Obeser worked as an operative-technician assistant in the operating room of an orthopedic hospital. She receieved experience in arthroplasty and arthroscopic surgery during her time in the operating room while serving as second or third assistant during surgical procedures. 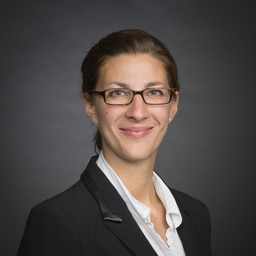 Now, Ms. Obeser is active as a clinical specialist for sports medicine and arthroplasty, instructing surgeons on surgical techniques and is also responsible for observance of radiation protection at Arthrex GmbH. After studying medicine in Munich, Germany, Dr. Georg Elhardt furthered his training in traumatology and orthopedics at several hospitals in Munich and Cameroon (Western Africa). 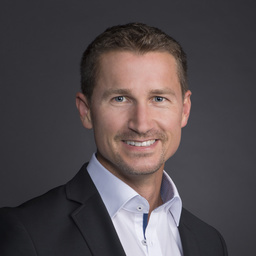 He spent the past ten years working in a hospital in Ebersberg, near Munich, and was the leader of the ward for traumatology, orthopedics and reconstructive surgery before coming to Arthrex in 2019. He also did further trainings in emergency medicine, ATLS and chiropractic medicine. Dr. Elhardt supports surgeons in the ArthroLab, focusing on Distal Extremities. Dr. Mark Ferguson obtained his undergraduate degree from the University of Stellenbosch (South Africa) before completing his orthopedic residency at the University of the Witwatersrand, Johannesburg. 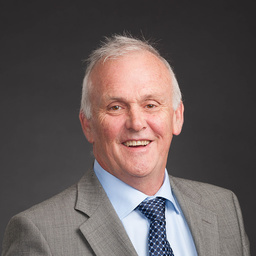 He completed a sports medicine fellowship with Dr. Clive Noble before embarking on an observership tour throughout the U.S. Based on his experience at the Hospital for Special Surgery, the Southern California Orthopedic Institute and the American Sports Medicine Institute, Birmingham, he returned to open the Centre for Sports Medicine and Orthopaedics in Johannesburg in 1994. He was involved in the treatment of sportsmen of all sports disciplines from social to provincial, national and international levels. He has worked to provide the best innovative therapies for his patients. His main interests were knee, shoulder and sports traumatology. He was an educational consultant for Arthrex from 2005 until his full-time appointment in 2017 as Director of Medical Education for the APAC region based in Singapore. Ms. Matsuki is originally from Osaka, Japan. Ms. Matsuki lived in Washington for nearly four years before returning to Japan in 2003 to attend university. She graduated from Sophia University, Tokyo, in 2006 with a bachelor’s degree. After graduating, she worked as a sales representative in trauma and orthopedics where she gained valuable experiences consulting with health care professionals and attending operations. Ms. Matsuki joined Arthrex Japan in 2011 as a sales representative. In 2014, she was selected to be sales trainer, responsible for cultivating reliable and knowledgeable sales representatives. 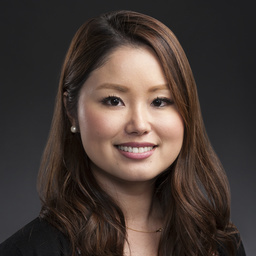 In 2016, Ms. Matsuki left her position in sales to take on a new role as Medical Education manager to oversee international and domestic events in Japan and cadaver trainings in Singapore. 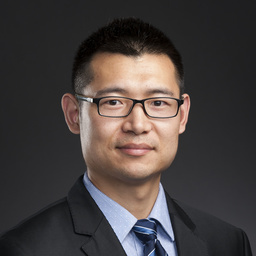 Dr. Sun spent nine years studying clinical medicine, earning his bachelor’s degree in clinical medicine in 2008 and his master’s degree of surgery from Nanjing University in 2011. In 2010, Dr. Sun passed the National Medical Licensing Examination and attained certification as a surgeon. Dr. Sun has six years of previous experience working for an orthopedic device company and joined Arthrex China in 2014 as Medical Education Coordinator. Dr. Sun has a special interest in DEX and shoulder arthroscopic surgery. Mr. Ha is from Seoul, South Korea. He lived in Austin, Texas for three years before returning to Korea in 2003. In 2006, he moved to the United States to attend the University of Illinois, Urbana-Champaign to study cell biology. 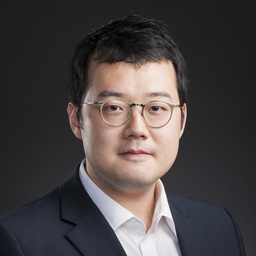 He joined Arthrex Korea as an Associate Medical Education Manager in July 2014. Mr. Ha’s role primarily includes Health Care Professional and Arthrex Representative education, including domestic and international cadaveric workshops and mobile labs. 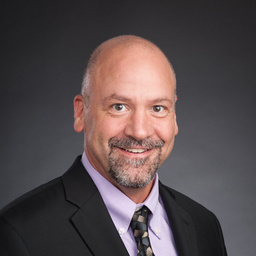 Originally from Cass City, Michigan, Mr. Hewitt earned both his Bachelor of Science (Athletic Training) and Master of Physician Assistant Studies degrees at Central Michigan University in 1998 and 2002, respectively. He has experience in the National Football League with the Minnesota Vikings as an Assistant Athletic Trainer. Prior to joining the Arthrex Medical Education Sports and Arthroplasty team in 2018, he served for 16 years as the Physician Assistant Manager as a part of his practice at the OrthoCarolina Sports Medicine and Cartilage Restoration Institute. Having a strong interest in education, Aaron has been recognized by the American Academy of Physician Assistants (AAPA) as a distinguished preceptor. 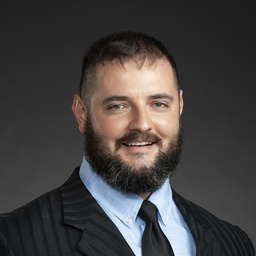 He currently serves as the AAPA Liaison to the American Academy of Orthopaedic Surgeons and is a reviewer for JBJS Journal of Orthopaedics for Physician Assistants. 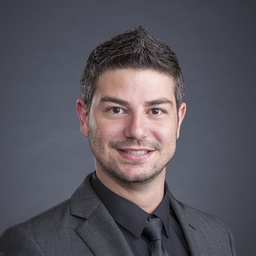 Originally from Budapest, Hungary, Dr. Kalapos moved to the U.S. to pursue his Bachelors of Science in Biology, which he obtained with Honors from the California State University, Long Beach in 2007. He then began his medical studies as a Dental Student between 2008 – 2011 at Semmelweis University in Budapest, Hungary. Dr. Kalapos decided to switch career paths and transferred to the Medical University of Pécs in Budapest, obtaining his Doctor of Medicine degree in 2016. He is fluent in English, Hungarian and French. 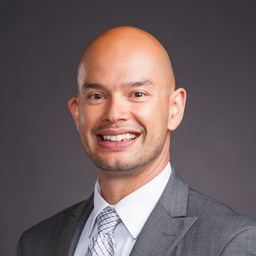 In 2018, Dr. Kalapos joined Arthrex as an Associate Clinical Specialist supporting the Hand, Wrist and Elbow Team. After studying medicine at the University in Bonn, Germany, Dr. Viviane Trouvain furthered her education in surgery with the focus on traumatology at the University Hospital in Bonn. After becoming a surgeon she continued her career with training as a specialist in plastic and reconstructive surgery in Bochum and worked as a senior physician in Frauenfeld, Switzerland. 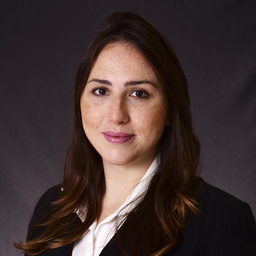 Before coming to Arthrex in 2018 she was area manager for advanced training and continuing education for the Academy of Traumatology, AUC, in Munich. 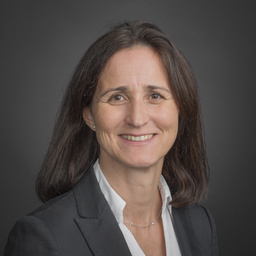 Dr. Viviane Trouvain supports surgeons in the ArthroLab for Distal Extremities and manages DEX National and International Courses run by Arthrex.